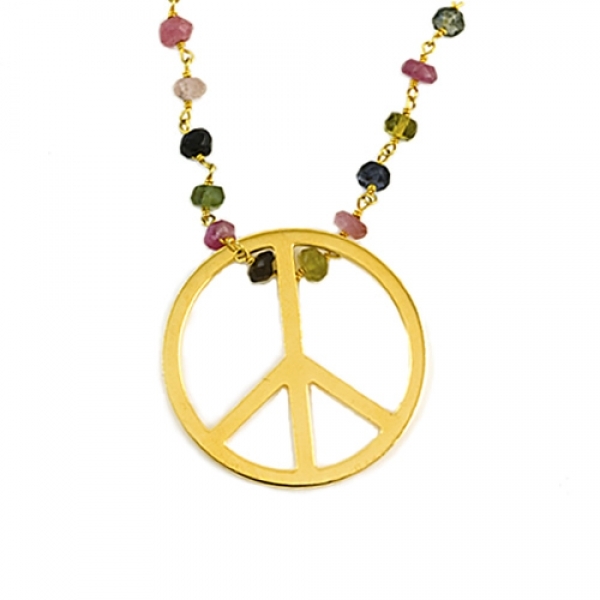 New in, this on trend necklace features the latest must have symbol; the Peace pendant. Handmade, featuring multi-coloured, multi faceted semi-precious tourmalines; it's simply exquisite! 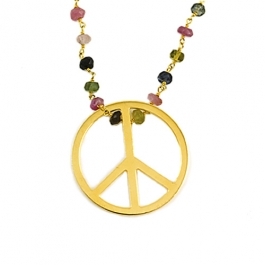 The gemstones hang delicately from an 18k gold vermeil chain which is approx 18" in length. The Pendant is also 18k gold vermeil and measures approximately 3cm in diameter. 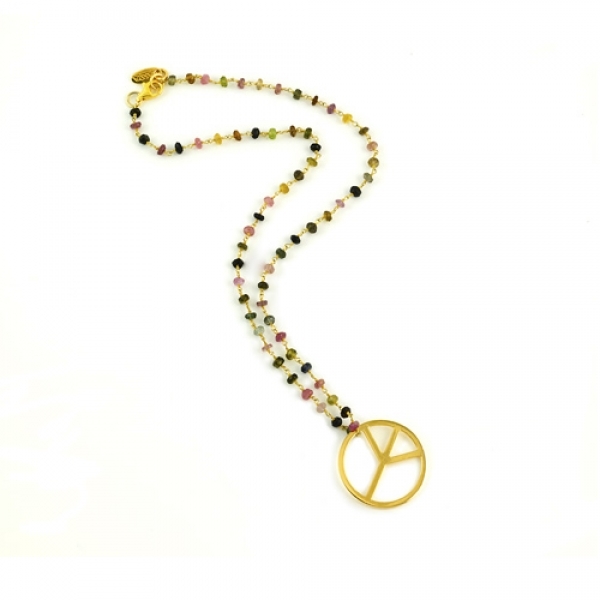 A wonderful gift idea; this necklace is from Assya's 'Peace & Love' collection and is certainly a beautiful statement piece.